Apple today released iOS 9.2 to the public, marking the second major update to the iOS 9 operating system since its September launch. Prior to being released, iOS 9.2 was in testing since late October after being seeded to developers and public beta testers one week after the launch of iOS 9.1. Today's iOS 9.2 release is available as an over-the-air update to all iOS 9 users. Though it is the second major update, iOS 9.2 is actually the fourth update to iOS 9 in total, following the launches of iOS 9.0.1, iOS 9.0.2, and iOS 9.1. Xcode 7.2 is also available today. iOS 9.2 includes a huge list of bug fixes, which we've outlined below. Beyond bug fixes, iOS 9.2's biggest change is a tweak to the way the Safari View Controller works within third-party apps. 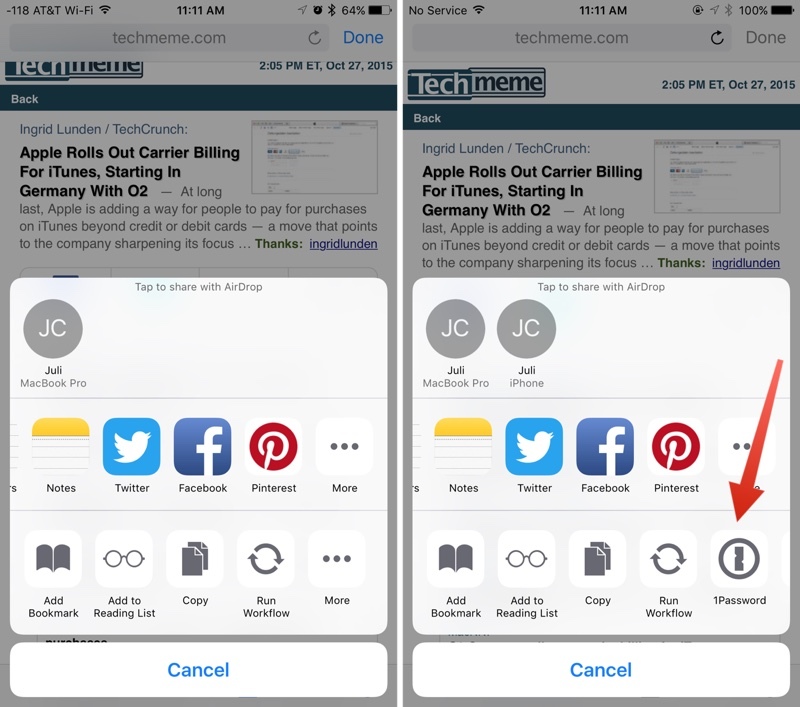 The Safari View controller is what allows a pop-up Safari window to be used within third-party apps, and with iOS 9.2, the Safari View Controller supports third-party Action Extensions, letting apps like 1Password to be accessed in the Safari view of other apps like Tweetbot. iOS 9.2 also includes support for AT&T's NumberSync Wi-Fi calling feature, allowing AT&T users to accept calls on any device even when their phone is not nearby. Now let's wait for 9.3!! Please fix the lag and unresponsivness on my 6+... Also the screen glitches. Build number is the same as the last beta: 13C75. I hope they made the podcasts.app fullscreen on iPad. EDIT: No. Is nobody at Apple watching video podcasts on an iPad? The white bars on the top and bottom are stupid! It's is not bizarre... Just that pb4 was good enough to become a release for all. PB testers will not get anything, or maybe the 9.3 beta 1? - Go to Settings --> General --> About and you will be prompted to install a carrier update. That took my 6 from 23.0 to 23.1. - You'll have the option in there to activate AT&T NumberSync. I just activated it and I got a pop up on my Mac and iPhone within about 30 seconds of activating it saying it was ready to use. Now on my iPhone under Settings --> Phone, instead of saying "When Nearby" next to Allow Calls on Other Devices, it simply says "On". Finally, when I went into FaceTime on my Mac, I was asked if I wanted to enable Wi-Fi calling on this Mac. Also, in FaceTime Preferences on the Mac, there is now the option to update the address used for emergency services. I just tried it and it seems to work flawlessly. Turned my iPhone off, called my cell number from another phone, and my Mac rang. Kudos to AT&T and Apple!